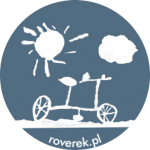 Bicycle rental roverek.pl has been operating since 2015 in Kołobrzeg, near the hotel Ikar Plaza. We offer rental of trekking, electric and children's bicycles. In addition, we have child seats, helmets and all the equipment needed to spend a nice, safe and active time. For details of renting bicycles, please contact us by phone or email. © 2018 roverek.pl All rights reserved.